You've learned in the previous tutorial how to evaluate the strength of your pieces. You are going to see here some examples on how knowing the values of the pieces can help you in your game. In the next example it's White's turn to move. You can see that he can capture the knight at c5 as well as the rook at f6 with the bishop from d4. If he chooses to capture the knight than he will not accomplish much, he'll just exchange a bishop with a knight and pawn : 1. Bd4:Nc5 b6:c5 2. Nb3:c5 . But if he captures the rook he will gain a greater advantage; he will change a bishop with a rook (which is more valuable than the knight or the bishop) :1. Bd4:f6 Qd8:f6. That is why the second option it's better. 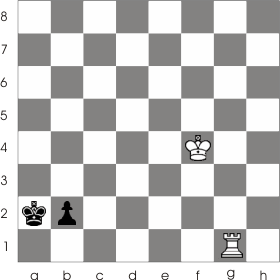 You may have notes that White can also capture the rook at b8 with the queen. But that would be a very bad move as he would lose the queen for a rook. In the next game again it's White's turn to move. 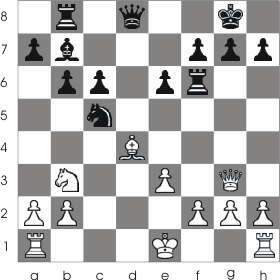 You can see that the knight at d5 is under considerable attack from the white pieces. But at the same time it is also protected by a relatively big number of black pieces. The question is : should White capture the knight? 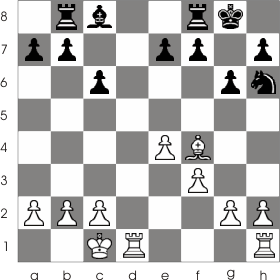 Let's see what happens if the black knight is captured:1.Nf4:d5 Nf6:d5 2. Nc3:d5 Bb7:d5 3. Bb3:d5 and Black can't go any further and capture the bishop from d5 with the queen without losing the queen. So, as you can see White had enough resources to perform that capture. As you probably observed the side that has more pieces controlling the square on which the capture will happen, will win. In this situations (when you have more resources than your opponent) you should start capturing using the less valuable pieces. 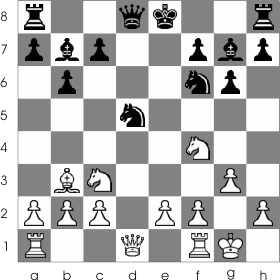 For example, it's a bad idea if in the previous position White makes his first capture using the queen because Black would just capture the queen with the knight or the bishop and after that would just stop continuing capturing (so White exchanges the queen with a bishop... not the best thing to do...!). As a general rule you should avoid making captures if they don't bring you any advantage and you should make captures even if you gain a small advantage (Sometimes you only need an extra pawn to win a game).